The PyeongChang Games is almost over, and this week it certainly hasn’t been just about the sports. Debates on South Koreans’ practice of consuming dog meat, the country’s 2014 tragic Sewol ferry disaster, racism and an unfortunate injury involving Dutch skaters have made headlines at PyeongChang. Here is what’s behind the ongoing issues, including those involved and why they are being talked about. A Dutch skater’s public remarks on South Koreans’ practice of consuming dog meat triggered controversy this week, leading the athlete to offer an apology through his Twitter account. “I want to apologize to the Korean people,” wrote Jan Blokhuijsen, the Dutch speedskater, via Twitter on Thursday. It was on Wednesday that the skater made his controversial comment, after the Netherlands claimed bronze in the men’s team pursuit event. 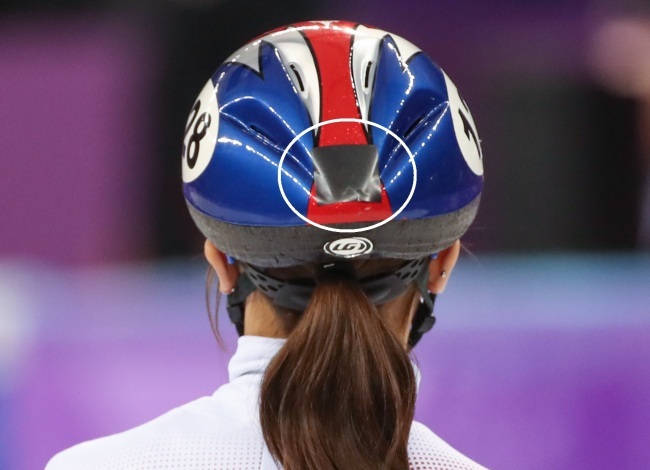 The athlete reportedly said, “Please treat dogs better in this country,” as he was leaving a press conference that was held following the team pursuit event. Many Koreans found his comment to be extremely offensive, believing his remarks come from a stereotype that all Koreans consume dog meat. In spite of his apology, some have said the case should be reported to the International Olympic Committee as a racist comment and the skater should be penalized. “What’s your intention of mentioning ‘welfare of animals’ and ‘make this a better place’ in your apology?” wrote a Korean Twitter user named Jang Kwang-eun in response to the Dutch skater’s apology. “It looks like you are insulting us one more time in a different tone. The number of ‘those’ restaurants are rapidly decreasing, and most of young generations including myself don’t eat dogs at all these days. And that issue is entirely our own problem, and your way to address on it was very disrespectful,” Jang said. I don't get how your remarks make this place a better place. You have to understand that it's their culture. They are not eating dog pets. They eat dogs that are grown solely for consumption. You eat cows, chicken, duck, goose, turkey, pigs, right? What's the difference? Not all Koreans eat dogs. And they surely don't eat pet dogs. You have to take cultural relativity into equation. Indians could say same thing about you for eating cows everyday. Middle Easterners could say the same thing about you for eating pigs. If you're ignorant, shut it. Some Koreans said the Dutch skater’s remarks are disrespectful to Korean culture, regardless of whether some Koreans consume dog meat or not. Yet some felt the Dutch skater did not need to apologize. There was nothing wrong with your statement. We should be the voice of the animals. “Culture” can’t be an excuse for such abuse. Kim A-lang, one of the five members of South Korea’s short track skating team that won gold in women’s 3,000-meter relay on Tuesday, has become a target of online “criticism” by South Korea's conservative extremists for wearing a sticker honoring the victims of the 2014 Sewol ferry disaster. The Sewol ferry disaster, which killed 304 people -- most of whom school children on a trip -- is considered as one of South Korea’s deadliest disasters in history. The incident triggered a massive public outcry in the country in 2014, and the way the incident is remembered still remains highly politicized in South Korea. In Korea, wearing a badge in the shape of a yellow ribbon commemorating the ferry victims is widely seen as a political statement. Those who wear it to work or other public engagements would be often framed as anti-Park Geun-hye and “too political” or “rebellious” by the conservatives. 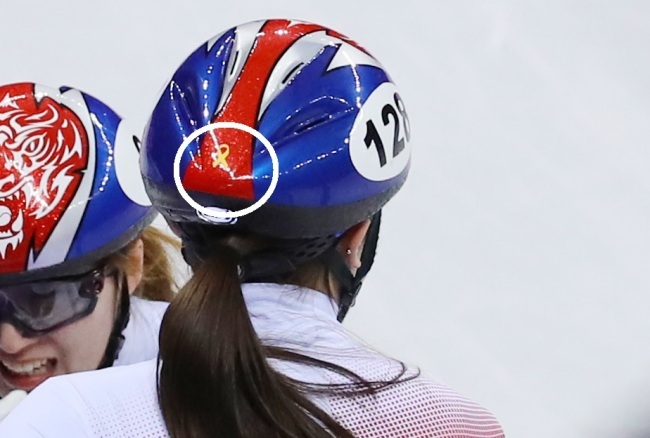 Skater Kim was spotted wearing a helmet featuring a sticker that takes a form of the yellow ribbon at the women’s 1,500-meter race at the PyeongChang Games last week. After the race was broadcast, those who supported the cause praised her for bringing a light to the victims of the tragedy. 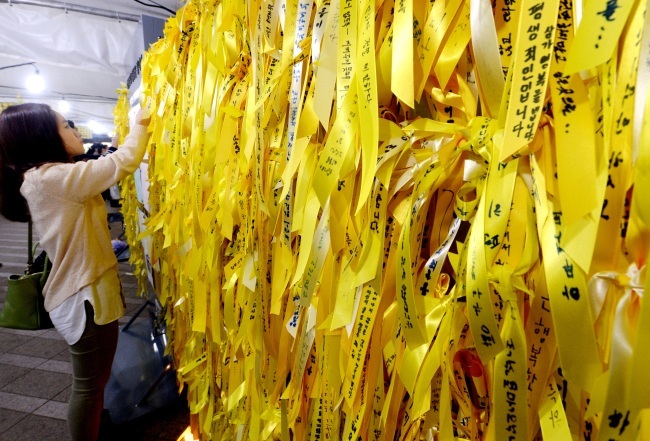 Yellow ribbons were used to commemorate the victims of the Sewol tragedy at public funeral services that were held nationwide back in 2014. (The Korea Herald file photo). A member of Ilbe, an online community of conservative extremists, claimed that he had filed a complaint against her to the IOC, asking the sports body to penalize her. Following the controversy, Kim was spotted competing without the ribbon on Tuesday, when she made an appearance at women’s 1,000-meter heat event. Instead of the yellow ribbon, her helmet was spotted to have what looked like a black sticker. Some South Koreans are criticizing Ilbe members, claiming their attacks against Kim have been irrational and malicious. On top of one of their member’s controversial remarks on dog meat, the Dutch men’s pursuit team also wounded two South Korean fans by throwing a medal plaque to the audience at the Holland Heineken House in Gangneung, Gangwon Province, according to Dutch daily De Telegraaf. The plaque was provided by the Holland Heineken House as part of a ceremony to honor medal winners. It was supposed to be carried by over the heads of the fans, then passed to the end of the room to be hung on the wall. 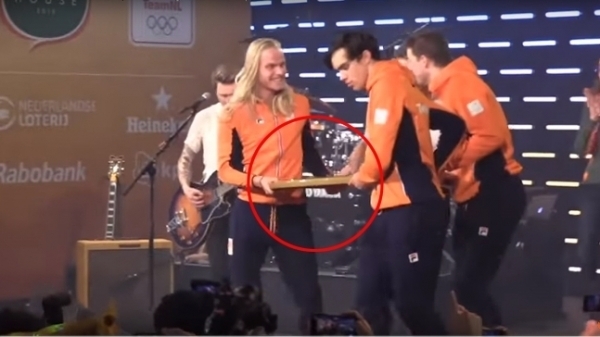 The heavy wood and metal plaque was, instead, thrown into the middle of the audience by medalists Sven Kramer, Koen Verweij, Jan Blokhuijsen and Patrick Roest, injuring two spectators. One of the injured in the audience was hit in the head by the edge of the medal title and was immediately taken away by two security guards for hospital care as shown in a one-minute video clip released by De Telegraaf. The other was reportedly taken care of on the site of the accident. 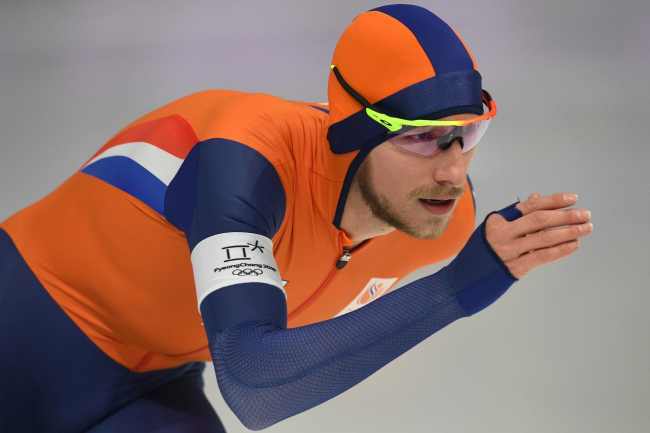 Wednesday’s accident came after the Netherlands claimed a speedskating bronze medal in the men’s team pursuit Wednesday at the Gangneung Oval. The gold went to Norway, with silver awarded to South Korea.